She tried a lot of things to find out what she should be doing. This included police work, social work, retail, human resources, management and consultancy. Eventually she retrained and found work she loved: environmental research, where she could write loads of interesting reports, articles and papers. 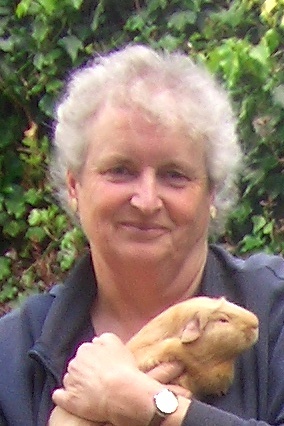 Jemima now lives in Norfolk, UK with the next generation of guinea pigs. The Princelings of the East is the first of a trilogy telling of the adventures of Fred and George. Over three stories they solve problems caused by unintended consequences, commercial greed, unprincipled actions and blind prejudice yet still find time for troubled love affairs and disastrous inventions. Book 1 opens with our Princeling heroes at the Castle in the Marsh. When the King's Birthday feast is ruined by an unnatural power drain, they leave their scientific experiments to set out in search of answers. They encounter the enigmatic businessman Hugo, the impressive Prince of Buckmore, the wise Lady Nimrod, the irrepressible barkeep Victor, but find themselves threatened by those with vested interests. The scene shifts from a rural, feudal setting to the towers and heights of the curious Isle of Hattan, but where, or when, are they? Time is of the essence in solving this puzzle, and our heroes must keep their wits sharp and their heads clear if they are to survive. Suitable for ages 8 and over, The Princelings of the East is a fantasy adventure with the charm of the Wind in the Willows in a complete world reminiscent of Anne MacCaffrey's Pern. The Princelings of the East is a trilogy relating the adventures of unlikely heroes Fred and George. Two innocents abroad, they solve problems caused by unintended consequences, commercial greed, and blind prejudice—and still find time to engage in troubled love affairs and nearly blow themselves up with their own inventions. The opening of The Princelings and the Pirates, the second book in the series, finds Fred and George happily pursuing their interests and enjoying the hospitality of Castle Buckmore. When Prince Lupin of Buckmore announces his unhappiness with the wine, they set off to discover what has gone wrong at the winery. Captured by pirates, shipwrecked, and in danger for their very lives, the heroes are drawn into the Battle of Dimerie, where Fred meets his true love and George gets more than he bargained for. Suitable for ages 8 and over, The Princelings and the Pirates is a fantasy adventure combining a generous amount of swashbuckling with a dash of concern at society's ills spiced with the stirrings of a first love interest. Kira is one of the strongest female characters I've seen in young-adult fantasy fiction, and I'd recommend the book on the strength of her character alone... The action draws the reader in from the start, and the dialogue is intelligent and full of subtle humor. DMC Amazon.com"
Suitable for all ages, The Princelings of the East is a trilogy relating the adventures of unlikely guinea pig heroes Fred and George. Two innocents abroad, they solve problems caused by unintended consequences, commercial greed, and blind prejudice—and still find time to engage in troubled love affairs and nearly blow themselves up with their own inventions. In The Princelings and the Lost City, Book 3 of the series, Fred has made a commitment to his true love, Kira, but must win her father’s approval. George, meanwhile, is near to fulfilling his destiny, but gets sidetracked by the arrival of a new flying machine. A simple journey to introduce Kira to their home castle turns into a case of kidnap, mistaken identity, heartache, and the discovery of a totalitarian society hidden in the forest. The fourth book in the Princelings series takes us back to Castle Hattan. Lord Mariusz, peeved at being cast as the villain in the first book, attempts to set the record straight. He narrates, in his own Humphrey Bogart fashion, how he found the time tunnel, and his adventures when he started to exploit the business opportunities he found on the other end. He explains how he came to master the art of time travel and why he has been the easiest person to blame for all the assassinations, supernatural phenomena, and industrial espionage he has seen on his adventures. From his first morning at the Inn of the Seventh Happiness, where he has introduced himself as Hugo del Novo, he feels a strange disorientation. What is going on in this world? The papers are twelve years out of date, they speak with a strange accent, and write dates the wrong way round. The barkeeper’s cute hyperactive son tips him off as to the best stagecoach to take to start exploring, and then his troubles really start. Trouble could have been Hugo’s middle name, since he certainly attracts it. Murder, vampires, dodgy business people, secret agents… Mind you, the upside is that he attracts beautiful females, too. And all the while he’s just trying to work out how to sell his drinks – and how to get them shipped down the time tunnel, stored in a safe and secret place, and keep his trusty agent Willow from falling asleep on the job. What is the secret of Vexstein’s bottling plant? Who knows what shady deals have been done before Hugo arrived? And how many contracts have been taken out on him while he’s just been trying to get contracts for drink deliveries set up and signed? Meet old friends as their younger selves and make new ones as you follow Hugo’s adventures in the Princelings world – before Fred and George had even dreamed of leaving Castle Marsh! The Traveler in Black and White is a fantasy mystery for ages 12 and over (PG-13). Since Hugo (or Lord Mariusz) comes from Hattan, the book is written in US English. "This book is set earlier than The Princelings of the East Trilogy and rather than following Fred and George it follows Mariusz, Lord of Hattan, also known as Hugo. The entire book is from his perspective and is appropriately quite different in style to the other books. The excellent writing, exciting plot and brilliant characters are all very much still here! Humphrey is on the run. He has no friends, no past, no purpose, and no future. He’s just a guinea pig trying to find his way west in a world of dark forests, wild hills, strong castles, and assorted vagabonds and other things that might or might not begin with the letter V.
White Horse Castle has a proud past but an uncertain future. The new king, Benson, is trying to hold his realm together against the avaricious intentions of his neighbour, Lord Colman of Castle Deeping. Fortunately, White Horse Castle has a secret. It knows that there are special guinea pig people out there… people who need a purpose… people with skills and talents that could be put to good use. The trouble is, how to find them? In the fifth book in the Princelings series, we find the young outcast from the Lost City of Arbor travelling west as his mother suggested. He is rounded up amongst other exiles, but escapes, and finds himself among people that could be his friends, something he has never had before. But they are under threat, and Humphrey’s adventures twist and turn as he is called to his destiny by an unknown force, one that calls to his special hearing skills. He meets other talented individuals and learns to be a team, to work with others for the common good. It’s a tale of greed, of fighting, of cruelty and of a darker place than the ones we’ve met so far in the Princelings world. Heroes and heroines emerge from the unlikeliest of places to find laughter and friendship and a place where they belong. The Talent Seekers is a fantasy adventure story with paranormal influences and some pitched battles. It is concurrent with the Princelings and the Lost City, but with otherwise little connection to the previous stories in the series so can stand alone. It’s suitable for readers aged 13 and upwards. In the sixth book of the Princelings of the East series, Victor Barton, of the Inn of the Seventh Happiness and would-be business guru, uncovers a plot to bring a certain soda drink back into the Realms. At the same time Prince Engineer George disappears while on a visit to a flying festival in the Rhinelands. Secret agent Sundance is already on the trail of some sodapop smugglers, so King Fred sends Victor off with Sundance to see if he can solve the problem and find George at the same time. Victor finds himself mired in a tangled web of lies, deceit and treachery, compounded by the appearance of a shady character from his past - or is it his future? Bravo Victor is suitable for young teens and adults, and contains a handy chronology of key events in the series to assist new readers in settling into the timeline. 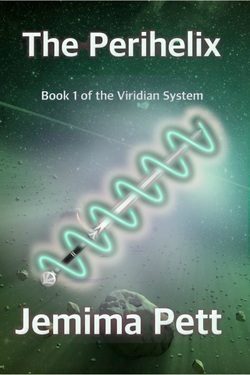 Two asteroid miners, three women, one spacecraft, and five pieces of a legendary weapon scattered around the galaxy. Big Pete and the Swede are rich, or so they discover after bringing in their latest haul of orichalcum from the asteroid belt. So some well-deserved vacation awaits them. It starts out fine, but when they receive odd messages, both realise that someone is trying to drag them back to their pasts, pasts they have tried hard to erase. Kidnapped by vicious aliens, they leave the girls in a mess - stranded on the spaceship with very little idea how to fly it.